Be it home, dine out or a party one thing is beyond doubt : food sets your mood. I believe if a person is not hungry, and the looks of your food makes him say. I must at least taste it, your day is made. The first impression is based largely on the sight. The more presentable the food is, the more appetizing it becomes. 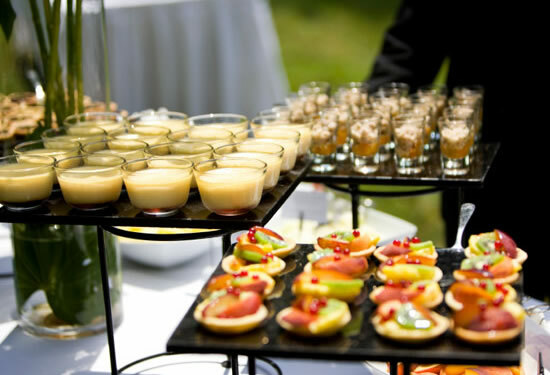 An artistic layout of food plays a very important role in winning and satisfying your guests. In banquets generally a person is full after heavy round of snacks and skips the main course. A beautiful layout of food can tempt that person for having it. That's what our effort should be. if we have worked hard on making and presenting food, a person should enjoy it thoroughly or at least taste it. This has been lacking in food industry for long barring a few. 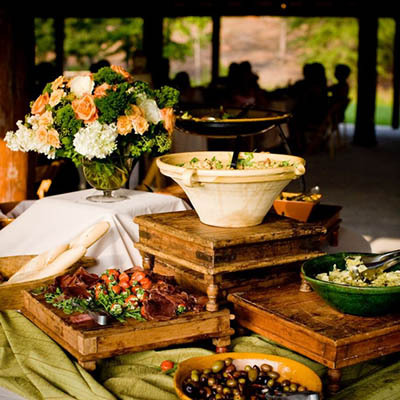 In restaurants, small buffets or a-la-carte, the visual delight is not given importance. Unique and creative food layouts can make or break a restaurant serving buffet and turn a wedding catering into great success and since we realized this so Eyes Eat First was created by our mentor to help you provide with creative, offbeat, stylish, within your budget custom built displays for all types of retail sectors. Our focus should be that our customer should enjoy our food not just eat it. We can make that happen. We provide our clients with design solutions that are not only innovative but tailored to suit each specific business. We are much more than just designers, we get involved in the planning and design of the whole project along with providing our clients with the desired infrastructure. We help shape and share our client's vision & hence you are guaranteed an experience that is truly unique and bespoke to each one's needs. Founder: Sandeep Vermani has over 20 years of hands on food service experience. Being an engineer by profession he has an eye for designs and aesthetics and is well versed with the technical implications of designing. He has enjoyed unparalleled success in outdoor catering and carved a niche for himself. His firm has catered for some of the most prestigious projects & clients. 20 year career in the food service industry has incorporated a vast diversity of skillsets & achievements. He has a visible passion for food that inspires every aspect of our consulting & designing practice. He is also a keen traveller using his experiences to constantly add to his catalogue of skills and techniques. The professional traits that most define him are strategic thinking and tenacity. He continually evaluates and refines goals, then stays in place until the results exceeds expectations. 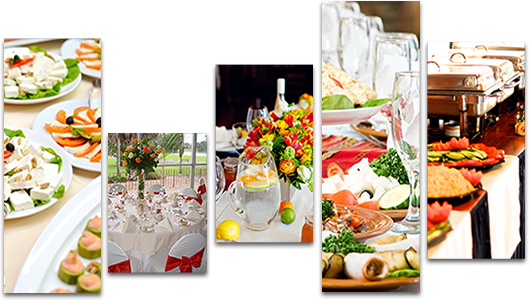 Food is the central part of any event and to make sure that it takes the centre stage, presentation & aesthetics is of utmost importance. 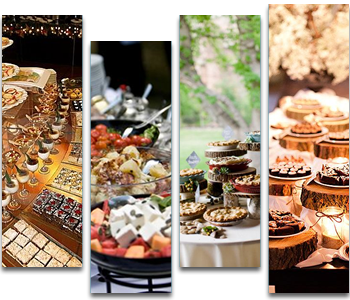 We help you by designing high quality food display units so that your guests would never want to leave your restaurant or to create a dazzling buffet at a wedding or any event that is sure to impress your clients. Stalls/ Counters: be it for the fruit counter, chaat counter, café counters, South Indian counters etc. Anyone in the food industry who is interested in immense growth of their business and earning profits by enhancing the visual appeal & presentation. If you have some existing infrastructure then there is no need of parting with it, we would be enhancing the existing things by our creativity and designing along with providing new displays if and when required. Interested in opening quick service restaurant, Find Dine Restaurant, Bakery, Sweet Shop, Banquet or Resort. We assure you the best interms of ideas and concepts. Enter the characters (without space) shown in the image. bellacibo.in : : Copyright@ 2015 : : Designed & Developed by Merchant Technologies * Images are for representation purposes only.